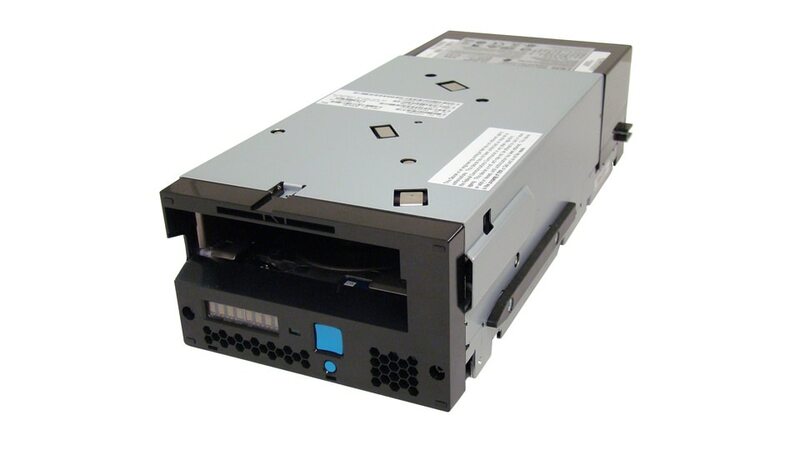 IBM® TS1155™ Tape Drive gives organizations an easy way to deliver fast access to data, improve security and provide long-term data retention--and at a lower cost than disk-based solutions. TS1155 is designed to support JD and JZ media formats, but is equipped with an advanced read/write subsystem that enables the use (or re-use) of JD media at a 50 percent higher capacity than previous-generation drives. TS1155 also offers high-performance, flexible data storage with support for data encryption. TS1155 supports a native data transfer rate of up to 360 MBps to deliver information at the speed demanded by cloud, mobile and social media users. Security is an important consideration when storing, accessing and managing your data. Encryption can help protect data from theft or accidental loss. TS1155 can help reduce the costs of long-term data retention by including support for IBM Spectrum Archive™, allowing users and applications direct access to files and directories stored on tape. TS1155 offers support for most open-systems servers. What's more, IBM Spectrum Protect™ and other compatible software can be used with TS1155 for storage and tape management.